Join us for a day of fine wines, great cheeses and a cosy atmosphere on Saturday the 8th of October, when we indulge in an explorative tasting of wine and cheese, as we go through six cheeses while we pair them with selected wines. Explore why softer cheese goes better with lighter wine at our Wine and Cheese Copenhagen Pairing. The plates of cheese is considered as a medium meal, making sure your appetite will be met during the tasting. The pairing wines will be sparkling, white and red. We will focus on the structure and taste of the various cheeses, and the wines they are best served alongside. 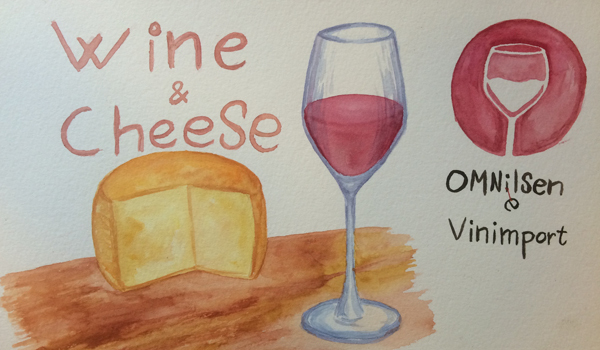 Find out why old aged rich flavoured cheese goes best with red wine, and what style of red wine. Wine and Cheese Copenhagen Pairing will be held in the heart of Copenhagen at Tire Bouchon, Teglgårdstræde 5, 1452 København K. We begin at 14.00 o’clock and end at 16.00.